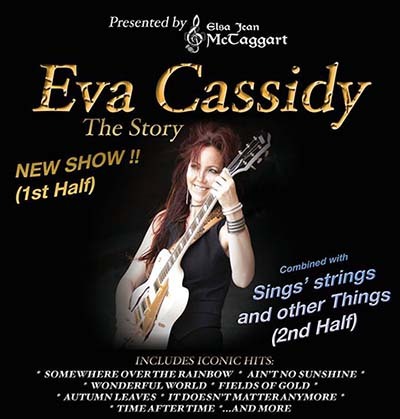 Elsa Jean McTaggart returns to The Kingswood Hotel on Sunday 2nd of July 2017, 2pm to 4pm, with a preview of her new show for this years Edinburgh Festival; Eva Cassidy – The Story. Based on the career of renown American vocalist and guitar player, the show features iconic hits such as, Over the Rainbow, Ain’t No Sunshine, Wonderful World, Fields of Gold, Autumn Leaves, It Doesn’t Matter Anymore, Time After Time and more. The second half will feature songs and music from Elsa’s other show at this years Edinburgh Festival, Sings’ Strings and Other Things. Tickets are £6.00 per person or two for £10.00.